It was a high spirit football match, where a team of performing artistes challenged the journalists’ eleven for a noble cause. The charity soccer’s idea to generate funds for the flood affected hundred thousand families of Assam was conceived by popular Assamese singer Zubeen Garg, which was responded positively by the media fraternity of the State. Assam in northeast India faces perennial flood as the mighty river Brahmaputra and its tributaries inundate the low-lying areas of the State in every monsoon season. The last wave of food claimed the lives of over 50 persons and destroyed the crops in 35,000 hectares of agricultural land. Nearly one million residents in the districts of Dhemaji, Dibrugarh, Morigaon, Golaghat, Sonitpur, Cachar, Nagaon, Nalbari, Barpeta, Bongaigaon, Goalpara, Dhubri etc was seriously affected by the recent flood. 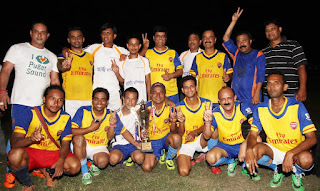 Started at 6 pm in the floodlit Nehru stadium, Guwahati on 26 September 2015, the football match was enjoyed by thousands of football fans as well as millions of general audience through the live coverage by local news channels. The media XI scored five goals (scorers include Banajit Bhuyan, Piter Alex, Sunil Bora, Debashis Mandal and Gautam Sarma), where Ajay Phukan, Pabitra Rabha and Pankaj Ingti scored for the artiste team. Led by Zubeen Garg himself the other members of the Artiste XI included Sasanka Samir, Partha Pratim Goswami, Pradhan Deori, Mahadev Deka, Shekhar Goswami, Achinta Shankar, Rohit Sonar, Hemanta Gogoi, Shiddharth Sarma, Bhaskar Dutta, Hitesh Gogoi, Manash Phukan and Dhanjeet Kalita. Radio jockey (Sasanka) Samir was adjudged as the best payer of the match. Similarly, other members of the winning team included Atanu Bhuyan, Sanjive Narain, Kishor Talukder, Niloy Bhattacharya, Amarendra Deka, Dasarath Deka, Pitambar Newar, Naba Pegu, Dhruba Mahanta, Siddhartha Sankar Deka, Dhiren Sarma, Hitesh Deka, Anupam Chakrabarty, Tibra Bairagi, Prasanta Dutta, Kumud Talukder, Partha Chakrabarty, Vicky Das, Sibanu Bora and Mukul Kalita. Senior television journalist Pranay Bordoloi captained the media team, which was formulated by the Electronic Media Forum Assam with the inclusion of media persons from both the print & electronic media. Senior sports journalist Subodh Malla Barua was the coach and environment journalist Nava Thakuria the team manager of Media XI. Over Indian rupees one lakh was generated from the match with the selling of tickets and also donations from football fans. Moreover, the media team donated the championship prize money of rupees 20,000 for the benefit of flood victims. The Guwahati based Dispur Hospitals also joined the mission extending free of cost emergency medical services to the players. Members of over 16 mass organisations, public health and civil society groups came together at the Delhi Secretariat today to protest against the rapidly deteriorating health situation and apathy of private hospitals. The city has been witnessing a spate of tragic dengue deaths where private hospitals have been refusing to admit desperate patients and public hospitals are overburdened and under-prepared. Dengue has now reached epidemic proportions in Delhi as also experienced for the last decade. The number of reported cases so far is a record high (over 2500 cases by 19th Sep), though the actual number is likely to be much higher than what is being reported. Despite it being a known fact that Dengue generally peaks during the post monsoon season (during the months of August to October), the lack of preparedness of State agencies, the negligence and extremely weak response, blatant denial of health care reflect the apathy of the State and its disregard for people’s health rights and lives. The stories of Avinash Rout and Aman Sharma are unfortunate illustrations of this - they were citizens who had fallen prey not only to the disease, but also to the heinous acts on the part of the (only for profit) private health care institutions, and to the non-vigilance and non-preparedness of the State. 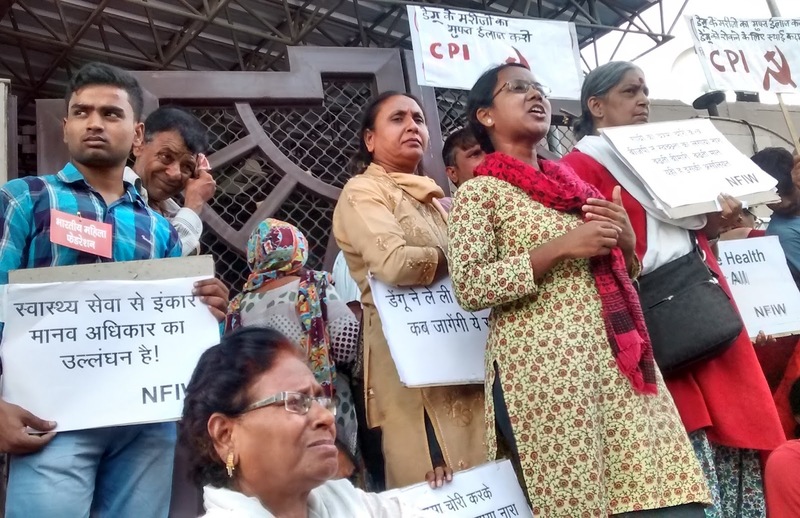 Annie Raja of NFIW demanded that the Delhi Government declare an epidemic and action a comprehensive epidemic control and response plan especially for the needy, economically weak and vulnerable communities. Joe Verghese of Jan Swasthya Abhiyan said ‘there is an urgent need for a citizen’s fact finding commission lead by public health experts to understand and draw wider attention to the systemic issues that lead to collective failure to manage the recent dengue epidemic in the state.’ Prof. Dinesh Varshney of Delhi University spoke of the corruption involved in medical education pointing out that ‘the Vyapam scam is happening in every state, not just in Madhya Pradesh’. He also stressed the need to declare an epidemic and immediate measures be taken including stringent action on private hospitals that are not adhering to rules. ‘In several countries around the world, it is compulsory for private hospital doctors to treat patients in public hospitals in an epidemic situation’, he said. Citizens gathered protested against the extremely disorganised response by the state machinery which has only been passing the buck between state and central government and municipal agencies. A delegation of four representatives met the Health Minister Satyendra Jain with a memorandum of demands (attached) including long-term commitments to ensure fundamental and structural changes in the uncaring, inhumane and profit-driven health system. 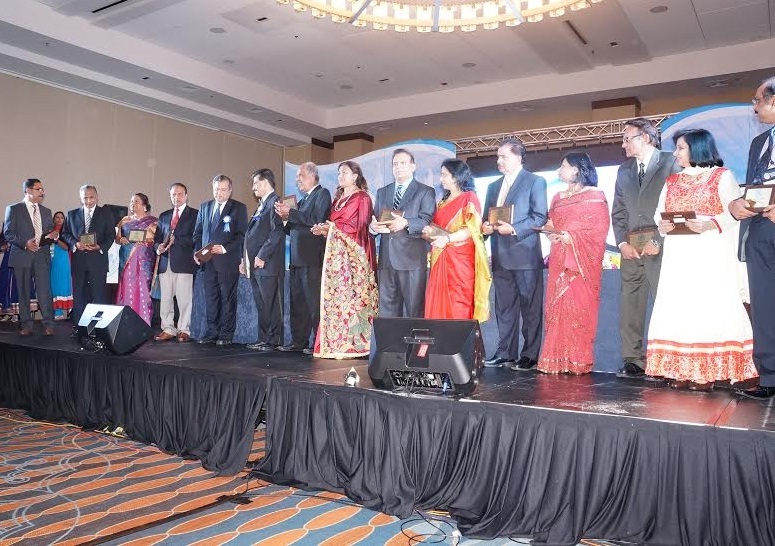 The 36th annual convention of the Association of Kerala Medical Graduates (AKMG) at the Downtown Marriott in Philadelphia, September 5-7, was attended by hundreds of doctors and their family from the US, Canada, England and India. The AKMG is a pioneering organization of Indian physicians in the US, which was formed three years earlier than the American Association of Physicians of Indian Origin. Dr. Seema Jain, president of AAPI, noted that AKMG inspired the formation of AAPI. At the concluding public meeting, Dr. Jain said there are more than 110,000 doctors and medical students of Indian origin in the US. The number of medical students is estimated at 38,000. In some universities, more than 30 percent of the students are of Indian origin. “In several states, one in four patients, consult a doctor of Indian origin. Nationally it is one in seven. It means that the Indian physicians play a major role in the healthcare in the US and their absence would disrupt the health sector,” Dr. Jain said. “AAPI continues to play a major role in in the health care in this country. We played a crucial role in securing the approval of Dr. Vivek Murthy as Surgeon General.” Prime Minister Narendra Modi, whom she met recently, is keenly watching the activities of AAPI and in his future plans AAPI has a special place. She asked all the Indian physicians to join AAPI. Anto Antony MP, the only political leader from India to attend the event, praised the achievements of the Indian doctors using the knowledge gained from India. Once their departure from India was considered as brain drain, but now they are the brain bank of the country. He pointed out the fast changing technology and the difficulties to cope up with it. More than 85 percent of technology and innovation happens in the US. America conquers the world with it. People may say that America gains importance through its armed strength. “The truth is that their gains are mostly through technology. Many nations tried to compete or challenge America and are unsuccessful till now.” Companies from India have employed 10,000 Indian is the US while they have given jobs to more than 22,000 Americans. He also congratulated the organization for keeping its unity even after 36 years, which should be a model for other organizations that split frequently. Dr. Azad Mooppan, who runs upscale hospitals in several countries and five states in India, employing more than 13,500 people, quoted Silicon Valley experts who said that machines will replace 80 percent of the work currently done by the doctors. In future, the patient could sit at home and consult the doctor. “Yet the importance of the physicians or the profession will not be diminished. The roles may change,” he said. Dr. Alex Thomas, president of AKMG, noted the revival of AKMG in recent years. Yet many of the doctors and medical students would not take membership in AKMG or AAPI, which needs to be changed. He noted that there about 4000 doctors of Kerala heritage, but only a few are associated with AKMG. “I am humbled and honored by the opportunity to serve as your president for its 36th year,” he said. He commented on partnership between Jefferson University and Aster Medcity, in Kochi , India , spearheaded now by a second generation AKMG member from Jefferson University in Philadelphia. He asked to strengthen local AKMG chapters and encourage them to invite more participation from prospective members. He thanked the convention team with Dr. Joseph Mathew as the Convention Chairman, who had put together the event that included CMEs and a great cultural and entertainment program. Dr. Kurian Abraham, patron of the convention noted the reasons for the lack of participation of the young doctors. He said the medical education is very expensive in America and many young doctors are more concerned about repaying the huge student loan they have taken, which has high interest rate too. They are more focused on career and money than social activities, he pointed out. Dr. Joseph Mathew, convention chair, Dr. Narendra Kumar, former president of AKMG and AAPI, Dr. Aravind Pillai, former president of AKMG and current chair of the AAPI Board of Trustees, addressed the delegates at the convention. The cultural events include Amrutha sandhya, a dance program by New Jersey based Kalashri school led by Bina Menon. The entertainment for the concluding night on Sept 6th was the Bobby Chemmanur Jayaram show 2015 directed by Nadirshah with star performers Padmasree Jayaram the film actor, Priyamani, the award winning film actress, Pisharodi & Dharmajan of Badai Bangalaw fame and an ace singer Unnimenon. The three day convention began with a cruise around Philadelphia. On the second day, Onam was celebrated with traditional festivities including a reception to King Mahabaili with thalapoli and chenda melam followed by an Onam feast. Various seminars, CME classes and campus comedy night which showcased the artistic talents of the doctors were the highlights of the convention. At the literary seminar several doctors read their literary works including poems. Dr. MV Pillai, who moderated the event noted the contributions of doctors like Dr. Siddharth Mukherji and Dr. Abraham Vergese for literature. An aggressive move to enroll more members, especially youngsters will be launched soon. To attract youngsters, AKMG members will work as mentors for the medical students and those who wish to study medicine. As always, AKMG will continue the focus on charity activities and helping the medical colleges back in Kerala. He said AKMG will strengthen the relations with AAPI, which can work nationally. Dr. Kumar also promised to help Indian American candidates running for elections pointing that they deserve our support as part of our community irrespective of party affiliations. Dr. Kumar announced that the next convention will be held in Miami Beach in July 14-16 in 2016. The country level R16 KOREA Event held on August 16, 2015 (Sun), at Shinhan University Bethel Center, northern part of the country in Uijongbu City. The event's MC are GO(KOREA), SNIPA(KOREA), JO-TEE(KOREA), ROOKIE(KOREA), DJ are B-BOY – SPRAY (KOREA) / PHYNXXX (KOREA) / POP&LOCK – FUNKYMAN(KOREA) and GUEST: JUST JERK (KOREA). About 500 hundredres participants, most of them are from Uijongbu City, and some foreign fans. The main B-Boy group winner is also from Uijongbu City. 2015 R16 KOREA World Event will held sometime later in this year. Central MERS Management Task Force Ministry of Health and Welfare has held briefing on July 23, 2015. As of 6:00 on July 23, there have been 186 confirmed cases, and among them, 138 patients have been discharged from the hospital and 36 have died. Currently, 12 patients are hospitalized for treatment. Four of them are in critical condition relying on life support, including ventilators and ECMO devices (extra corporeal membrane oxygenation). Of the 12 patients, 11 have tested negative for the MERS virus two times, and eight have been transferred from negative-pressure isolation rooms to general wards for continued treatment. A total of 138 patients have been discharged from the hospital. They received injections of antibiotics and antiviral drugs and other symptom-specific treatments. Patients are declared cured if they have no respiratory symptoms or fever and test negative for MERS two consecutive times. Among the 36 who have died, 91.7 percent, or 33 of them, were categorized as high-risk, either because of age or preexisting chronic conditions, including cancer or diabetes as well as heart, lung and kidney diseases and immunodeficiency disorder. With the number of MERS patients increasing and fears of the spread of the MERS virus rising, the Ministry of Health and Welfare established the Central MERS Management Task Force on May 28, headed by the Vice Minister of Health and Welfare. On June 2, the Minister of Health and Welfare took charge of the Task Force. The Prime Minister presided over the Government-wide Meeting for MERS Response on a daily basis to check reports from the Central MERS Management Task Force and the Rapid Response Team as well as the Pan-Government MERS Countermeasures Support Center. The Center is headed by the Minister of Public Safety and Security in partnership with 10 relevant government ministries to provide support for managing those who have been in contact with MERS patients and assisting medical professionals. The Central MERS Management Task Force under the Ministry of Health and Welfare is in overall charge of taking key epidemic control and prevention measures. As no additional cases of MERS have been reported for the 12th straight day as of July 13, the Minister of Health and Welfare has also taken charge of the Government-wide Meeting for MERS Response. A total of 14 health facilities where confirmed MERS cases have been reported were designated intensive management hospitals. The Rapid Response Team consisting of private-sector specialists was sent to hospitals affected by MERS to take on-site control measures, including partial shutdowns. Assistant administrative personnel were also dispatched for rigorous oversight of control measures. In addition, infection prevention classes were provided for medical workers, including how to put on and take off individual protective gear. On June 30, a Crisis Response Center began operation to provide the best possible treatment for patients in serious condition. Infection management measures at medical facilities were strengthened, preventing the further spread of the disease. Approximately 287 hospitals were designated MERS-free hospitals, where patients with severe respiratory conditions were admitted and treated entirely under quarantine. All medical facilities and emergency rooms were checked for proper record keeping on who had passed through. Hospital rooms, medical personnel and other resources necessary for quarantine and treatment of confirmed MERS patients were secured. Hospitals treating confirmed MERS patients and hospitals treating suspected MERS patients were designated by city and province and quarantine rooms were made available. Specialized personnel were dispatched, along with necessary medical equipment, to treat confirmed patients. Eight facilities were provided with a total of 116 personnel and equipment such as portable negative pressure containment systems and Level-D protective gear. A thorough system was established for finding and monitoring those suspected of infection. The list of hospitals that had been visited by confirmed MERS patients and the dates of these visits were made public beginning June 7. The system for managing those under quarantine was strengthened in cooperation with the Ministry of Public Safety and Security, the Ministry of Public Administration and the Ministry of Justice. Every quarantined person was matched with a public official, with monitoring taking place twice a day, and those under quarantine were banned from leaving the country. Measures were taken to compensate those affected in the response to the outbreak. Medical facilities received compensation for direct and indirect losses and other assistance. Those under home quarantine were provided with subsidies for living expenses and cost of treatment. Assistance was provided for funeral arrangements for the deceased. Epidemiological research and analysis was conducted as part of MERS response and eradication efforts. Relevant test specimens, clinical data and other research findings were collected and stored. International cooperation was carried out transparently with specialized organizations such as the WHO and the U.S. Centers for Disease Control. 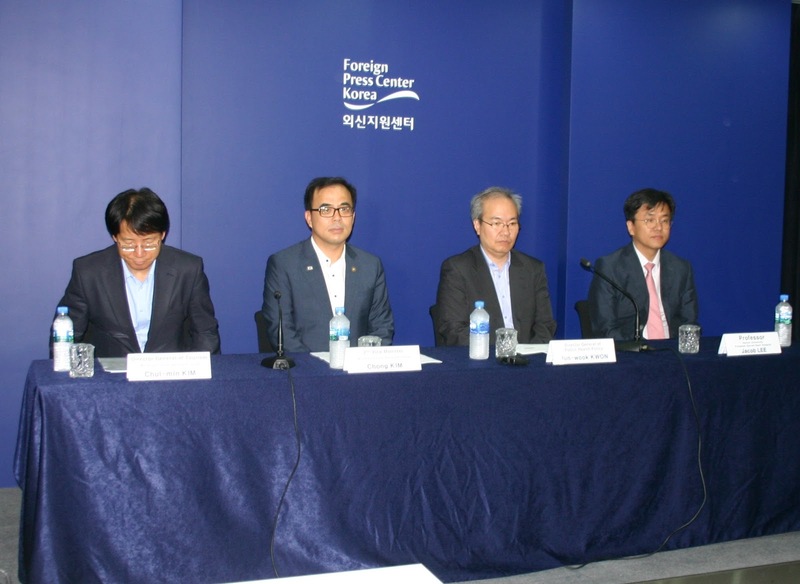 The Korea-WHO MERS Joint Mission presented its findings on June 13. In partnership with WHO and the U.S. CDC, a comprehensive assessment of Korea’s system for preventing the spread of new infectious diseases was carried out June 22-July 1. A revised Infectious Disease Control and Prevention Act was promulgated on July 6, strengthening the authority of disease control personnel and epidemiologists working in actual situations, increasing the number of epidemiologists, and strengthening the national disease management system to enable quicker responses. 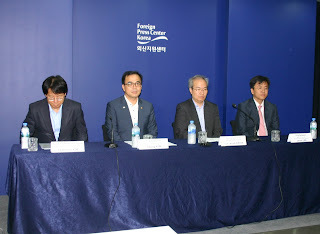 At the press meeting, vice minister of Culture, Sports and Tourism told reporters, government increased budget for tourism recovering program about 13 billion Won. Prof. Jacob Lee said the MERS problem was stated from 1st patient's report delay, and the same patient was moving from Saint Mary hospital to different hospitals was cause of spreading. According to KKwon Jun-Wook(Dirctor Genral of Public Health Policy), so far there are no new patients and death in the past 2 weeks. They are still working with WHO. It may early to announced the end of MERS outbreak, they still need to evaluate together with WHO and a team from National Assembly. The remaining the last patient case will look in detail. However, numbers of people under quarantine and crisis management are not necessary correlated, Kwon explained. 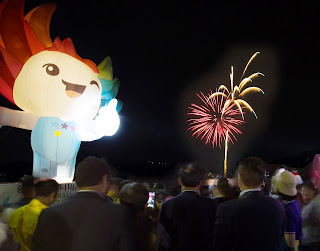 The celebration for Gwangju as a host city of the Universiade 2015. Distinct differentiations of Universiade Gwangju are introduced under Eco & Economic, Peace & Development, IT & Communication, and Culture & Education. The Gwangju Universiade Organizing Committee (GUOC) reduced the budget on constructing facilities. Only 4 out of 69 venues were newly built by using the existing facilities. Nambu University International Aquatics Center is one of the facilities that were newly built for the Universiade Gwangju. It has the most high-tech and eco-friendly swimming venue in Korea and the facilities will be used for the World Aquatics Championships in 2019. Since the property was provided by Nambu University, the entire construction cost was noticeably reduced. The Aquatics Center will be operated and managed by the University after the games. Kwangju Women’s University Universiade Gymnasium was designed to hold exhibitions and concerts after the Universiade. Along with the aquatics center and gymnastic center, the Jinwol International Tennis Court and Gwangju International Archery Center were cost-effective construction projects. 65 existing competition and training venues are located in Gwangju and other provinces. Eco-friendly reconstruction of a 30 year old apartment complex will be utilized the Universiade Athletes Village. The Athletes Village construction project was funded by private capital investments and will be returned to the previous residents after the games which will solve the problem of post utilization. The GUOC saved 200 billion won by minimizing new venue constructions and secured 100% of the marketing rights. Many corporations are sponsoring the World University Games in Gwangju by providing electronic goods, vehicles, food & beverages, apparels, etc. Therefore, the Gwangju Universiade will be the most eco-friendly and cost-effective event in history. Gwangju Universiade looks forward for youth around the world to participate in this mega-sporting event. Forums and conferences are held for youth to network while achieving a common goal. Gwangju is the first Universiade host city to sign a Memorandum of Agreement (MOA) between the UN to fulfill and share the value of peace by hosting the EPICS Forum and Youth Leaders Program. EPICS Forum was held in Gwangju for three consecutive years from 2013 to 2015. Worldwide famous professors and experts in each field of ‘Eco,’ ‘Peace,’ ‘IT,’ ‘Culture,’ and ‘Sports’ gave lectures and introduced their thesis to 500 college and graduate students. These students were able to speak out their thoughts, ask questions and discuss topics with speakers. Youth Leadership Program (YLP) was hosted by the United Nations Office on Sport for Development and Peace (UNOSDP) and Gwangju. YLP was held to empower youth in developing backgrounds and conflict areas. The program helped give the tools and strengthen a community’s capacity to build on its strengths and respond to pressing community needs. Meanwhile, 33 students from 19 countries including four students from the Democratic of People’s Republic of Korea have participated Young Leadership Program in 2013. The organizing committee was invited to a special event to celebrate the International Day of Sport for Development and Peace at the UN headquarters in New York on April 15th. The GUOC had the opportunity to give a video presentation on the Universiade Gwangju 2015 and discuss international sporting agendas with international figures including UN Secretary General Ban Ki-moon and IOC President Thomas Bach. Gwangju has stepped up to provide relief to those in need following the devastating earthquake in Nepal, which claimed over thousand lives. The organizing committee organized a fund-raising event from May 21 to 29 to support the Nepalese athletes’ participation of the Universiade games. As Korea is a global IT powerhouse, Universiade Gwangju will be the most efficient and convenient event using Information Technology. In a first for an international sport event, all venues and Athletes Village will buzz with free WiFi. Various Social Networking Services (SNS) such as Facebook, Twitter, Instagram, Flickr, YouTube, Kakao Talk, and Tic Toc are used by the organizing committee staff to promote events and communicate efficiently. Anti-doping and cardiac screening projects were established to raise personal health awareness. The GUOC, International University Sports Federation (FISU), and World Anti-Doping Agency (WADA) published an anti-doping textbook for university students in 5 continents for free to promote and educate anti-doping. Also, free cardiac screening will be provided throughout the games to prevent cardiac injuries. FISU Forum and FISU Conference are networking platforms to advance technical, social, and cultural skills through sports. FISU Forum was held for college and graduate students from March 17-22, 2014 in Gwangju. This forum is comprised of lectures by famous professors and speakers, group study, and discussions. Students can feel free to deliver their thoughts and share opinions on how to enhance and develop university sports. FISU Conference Gwangju 2015 will be held from July 11 to 14, 2015 at Honam University. With the support and cooperation of the Korea Society for History of Physical Education, Sport, and Dance (KSHPESD), the FISU Conference Gwangju 2015 will be a platform to not only stimulate research on university sport but also establish a global network within the academic and sports community. Universiade is not just a sports festival, but also a cultural festival for youth to connect with the world and experience true sportsmanship. Young athletes can enjoy the cultural festivals together regardless of language, religion, and ethnicity in Gwangju. World Youth Festival will also be held from July 4 to 13 at the Asian Culture Complex Plaza and Geumnamro. Festival includes youth camp, music festivals etc. for everyone to enjoy! 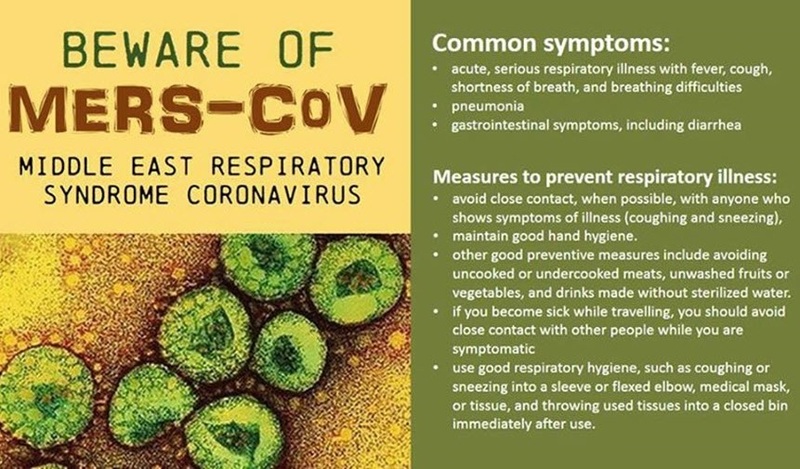 MANILA, 13 JUNE 2015 - A joint mission by the World Health Organization and the Republic of Korea’s Ministry of Health and Welfare to review the outbreak of Middle East Respiratory Syndrome coronavirus (MERS-CoV) in the Republic of Korea has recommended that continuing strengthening of contact tracing, monitoring and quarantine as well as expanded laboratory testing will prevent further spread of the virus. The mission confirmed that the virus is currently clustered around health facilities and found no evidencethat it was circulating in the community. “However, continued monitoring for this is critical,” says Dr Fukuda. The Assistant Director-General also warned that while the Korean authorities were already putting in place many of the recommendations the mission has made and that the number of new infections may be decreasing, the size and complexity of the outbreak means it will be a number of weeks before the true impact of the stronger disease control measures will be seen. “I want to strongly emphasize that we still need to wait and see before drawing firm conclusions,” he stresses. 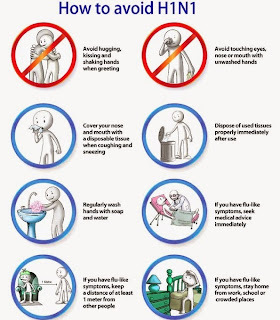 The fact that the MERS-CoV was unexpected and unfamiliar to most physicians in the Republic of Korea; Sub-optimal prevention and control measures in some hospitals, related in part to overcrowding in emergency rooms and patients in rooms with many beds; The possible impact of habits and customs such as so-called “doctor-shopping”, where patients seek care at a number of medical facilities, as well as visits to hospitalized patients by many friends and family members. The mission was unable to conclude whether environmental contamination, inadequate ventilation or other factors played a role in the transmission of the virus in the outbreak, but made a number of recommendations to improve health facilities in the country to reduce the possibility of the virus being spread by these means in the future. The most important steps recommended by the mission to stop further cases of MERS-CoV in the Republic of Korea included: Early and complete identification of all contacts; Quarantine or isolation and monitoring of all contacts and suspected cases; Full implementation of infection, prevention and control measures; Prevention of travel, especially internationally, of infected persons and contacts. There have been 138 confirmed cases of MERS-CoV (including 1 confirmed case in China) reported in the current outbreak so far, with 14 deaths. The virus was first identified in Saudi Arabia in 2012 and much is still unknown about the exact routes of transmission. 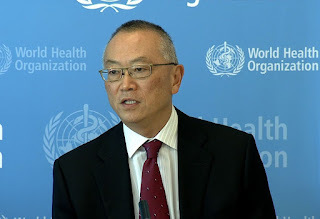 WHO has welcomed the Republic of Korea’s willingness to share its experience of the outbreak openly and to implement recommendations made by the mission. The Government has reconfirmed that the MERS virus infection is currently limited to hospitals and has not been transmitted into local communities. Despite that fact, with the growing increase in the number of infected patients and those under quarantine, the Government will put in place stronger countermeasures to help ease public concerns and anxiety. The Government will reinforce its response involving all parties, including local governments, the private sector, the military and schools, until mid June, the most critical point in containing the spread of the MERS virus. To that end, the necessary budget will be promptly disbursed using the disaster management fund and reserve fund. First of all, the Government will make public a list of hospitals where confirmed MERS patients have been found in line with efforts to ensure public safety. It is inevitable to tighten control on hospitals because the actual channel of infection has been centered on them. On June 3, when a joint private-public emergency meeting was held to check on the MERS response, the President gave an instruction to transparently disclose the names of medical institutions where confirmed patients have visited. Accordingly, before today’s announcement, preparations had been made to establish a suspected case reporting system to deal with the inundation of calls and to secure additional quarantine beds. There are 24 hospitals in total where confirmed patients had either visited or stayed. 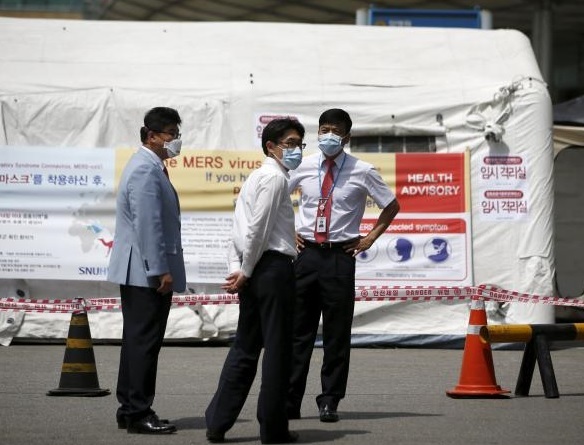 Among them, six hospitals, including St. Mary’s Hospital in Pyeongtaek and the Samsung Medical Center in Seoul, have been identified as having in-patients with MERS. The remaining 18 hospitals are the ones that confirmed patients have visited. The Government has a thorough grasp of where confirmed patients have traveled. The hospitals where confirmed patients have visited are being disclosed this time to inform the public of relevant information in a transparent manner. In the future, the list of hospitals where new cases occur will be made public to enable the taking of more active measures to identify those affected within the hospitals and stem the spread of MERS. Currently, confirmed patients are being treated safely at those hospitals equipped with negative pressure isolation wards so that there is no chance of contagion to the public. In the initial stage, the monitoring of those who were quarantined in their homes has been somewhat insufficient. In order to remedy this problem, the Government will swiftly establish a system to match each person under quarantine with a public health center official or a public servant from local governments. Tracking of patients’ locations using their mobile phones will also be carried out through consultations with the ministries concerned. I hope you will understand that all these measures are inevitable for the protection of our families and neighbors. In addition, MERS-related information will be made public as much as possible, but the Ministry of Health and Welfare will be the single source of all relevant information. Cooperation with local governments and education offices will be strengthened. When announcing technical medical issues, the participation of civilian experts will be expanded. In addition, the Government will actively carry out measures to strengthen collaboration with the international community. On June 8, the Ministry of Foreign Affairs and other ministries will begin a joint assessment with the World Health Organization on the current situation. 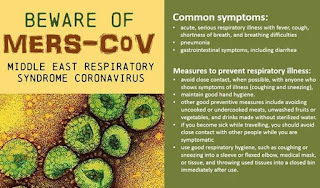 As the confirmed cases in Korea are the result of transmission within clinics and hospitals, and there has been no sustained transmission within the community, thorough containment of the virus is possible. I hope the people will not be misled by unfounded rumors to the contrary. I ask also for cooperation from the Korean people to ensure that excessive vigilance does not cause an undue slump in economic activity. The Government on its part will provide active support to ensure that various local and international events take place as planned, taking all preemptive measures to minimize the negative effects on our economy. 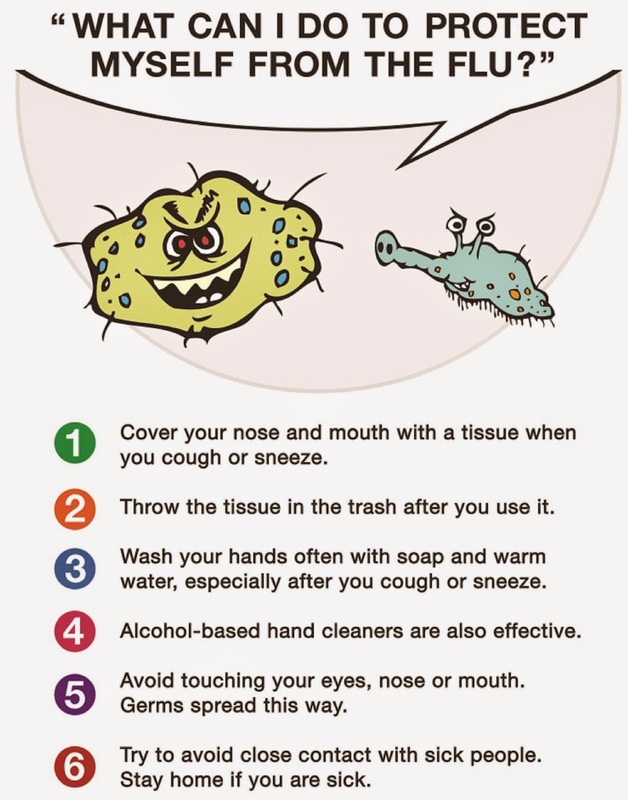 I ask all people to take appropriate personal hygiene precautions and play their part in our efforts. MERS is not transmitted through the air. 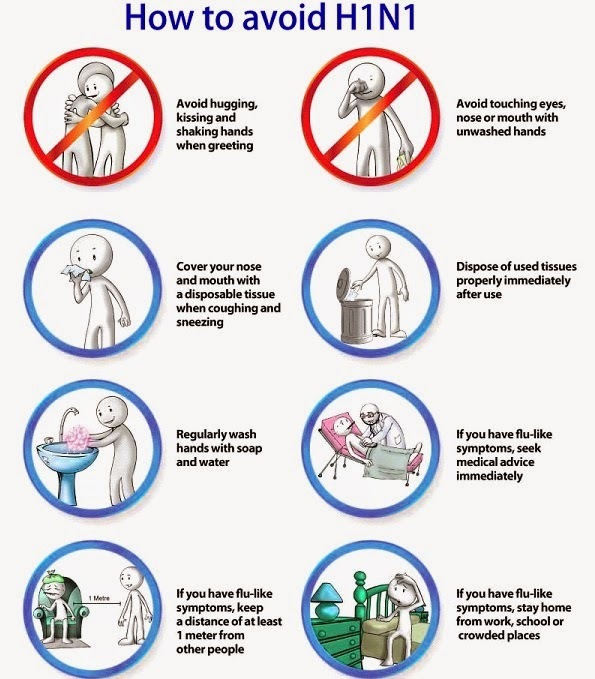 Experts have said that the MERS virus, similar to the common flu, can be contained and prevented from spreading into the community through appropriate quarantine measures and adequate personal hygiene precautions. I ask for your cooperation to ensure that excessive concerns do not produce unnecessary confusion. If the political sector and local governments also put their confidence in the Government, we will be able to respond together with composure, and I am confident we will be able to successfully overcome this situation. The Gwangju Universiade has begun its preparation efforts in earnest with a series of test events and the opening of the Main Operation Center (MOC). With the games only 50 days away, the Gwangju Universiade Organizing Committee (GUOC) is conducting the final-stage inspections while getting ready to imprint the cultural aspects of Gwangju onto the hearts of the visitors. This is to promote the city brand of Gwangju and to fulfill the city's goal of boosting cultural synergy. The GUOC is preparing various cultural events to let young people around the world to communicate with one another and experience the cultural aspects of Gwangju through the Gwangju Universiade's EPIC initiative (Ecoversiade, Peaceversiade, ITversiade and Cultureversiade). With the backing of the Ministry of Culture, Sports and Tourism and Gwangju City, the GUOC has so far been trying to make the Universiade a nationwide event where people from all cities and provinces can easily take part. The committee is devoting all energies into making the Universiade a grand cultural festival filled with energy and passion, which is well portrayed in the Universiade's official emblem of "Wings of Light." Various culture and art programs that proceed on the sidelines of the Olympic Games and the World Cups provide added fun and pleasure for the participants. For one, the Mediterranean city of Barcelona has transformed itself from a perished industrial city to an attractive cultural city through hosting the Olympics. Gwangju will also have a great opportunity to show its artistic features through the "Cultureversiade" by boasting its cultural legacy. The term Cultuversiade has its roots in Gwangju's cultural, artistic and historical legacies. 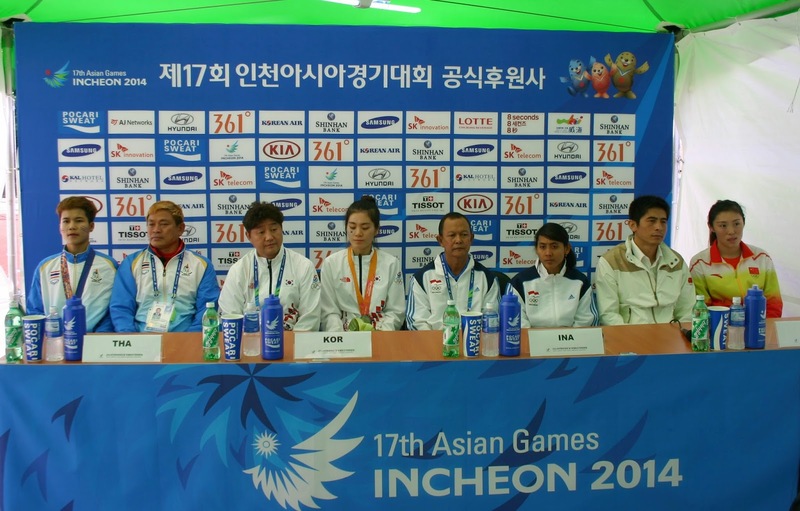 The GUOC hopes that Gwangju will become the hub of Asian culture through successfully hosting the games. 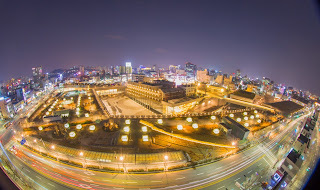 Gwangju is widely known as having the spiritual values of art, democracy, human rights and peace, and it is all related to the history of the city. In the past, Korea's southern provinces housed political prisoners who were mostly scholarly bureaucrats. Examples include Joseon Dynasty's Jeong Do-jeon who mapped out the structure of the dynasty while living in exile and Jeong Yak-yong who wrote 154 books on the dynasty's political and economic reform during an 18-year period. Those people nurtured the cultural and artistic base of the city while writing poems and drawing landscapes against the beautiful natural background of the city. The southern provinces are rich in traditional cultures as represented well with their metrical literatures, Goryeo celadon, Chinese paintings of the Southern School, pansori and traditional cuisine. Gwangju is often called "the artists' town" as it nurtured such well-known figures as Heo Baek-ryeon (Korean painting), Oh Chi-ho (Western painting), Im bang-ul (pansori) and Park Yong-chul (poetry). The city also promoted democracy through May 18 Gwangju Democratic Movement in 1980 against the military dictatorship, sought after human rights and endeavored to come by a prosperous community. The rich cultural city of Gwangju, which has hosted world-class events including Gwangju Biennale, Design Biennale, Festival O! Gwangju and Gwangju World Kimchi Culture Festival, is ready to take a leap forward to become a global culture hub city with the imminent establishment of the Asian Culture Complex (ACC) due in September. The Gwangju Universiade is expected to make a ground for cultural exchange for the student athletes where they will share their arts, youth and sports. In particular, the Universiade's Opening and Closing Ceremonies, culture events in the Athletes' Village and global youth festivals will offer a great opportunity for the participants to experience and enjoy global culture. The Gwangju Universiade will be a place where students from all over the world share their passion and energy. They will enjoy all the events to be held for two weeks regardless of their win or loss in the games. The GUOC plans to hold various cultural events which will unite visitors and local citizens together. 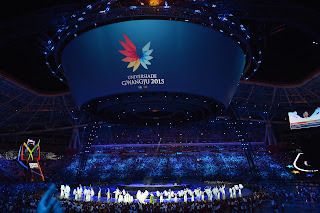 The cultural events are divided into six categories: the Eve Festival, the Universiade Park event, the FISU Gala, Athletes' Village events, competition venue events and the Youth Festival. 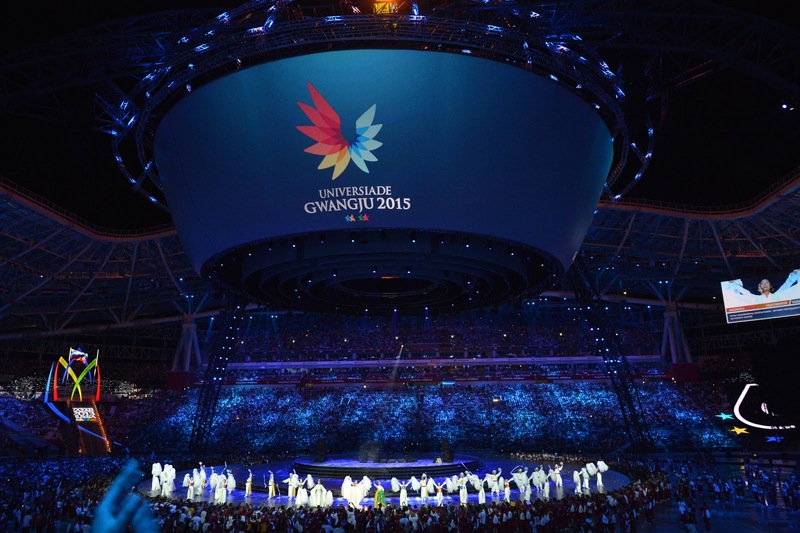 The GUOC will host the Eve Festival on July 2 to wish for a successful Universiade and promote the start of the games. On the same day, the organizing committee will hold the FISU Gala at the Asian Culture Complex where officials from FISU and the Universiades' host cities gather together to celebrate men and women who have dedicated their time and efforts for the Universiade. The gala will also promote Korean culture and introduce the Universiade's next host city. From July 3 to 14, the Universiade Park event will take place around the main competition venues. Participating athletes, officials, locals as well as tourists will enjoy and experience various cultural events and activities. Traditional craftwork, foods, performances, eateries and events will greet people there. From July 4 to 13, the Nanjang Festival will be held at the ACC's Democracy Square which is located on Geumnam-ro. The event is aimed at drumming up support for the Universiade among youths at home and abroad, sharing Gwangju's special culture while fulfilling the vision for the Cultureversiade. The festival will be linked to the 2015 World Youth Festival which will be hosted by Gwangju City. Various music performances and celebration events will take place for global music lovers. The Gwangju Univrersiade's Athletes Village located on Hwaun-ro, Seo-gu, is a small global village where young people from over 150 countries will stay together for 12 days. A total of 12,600 athletes and officials will be accommodated in 22 buildings of 2,445 units. A variety of cultural events to promote Gwangju and Korea in general will take place in the Athletes Village. They will be roughly divided into three categories of exhibitions, performances and experience activities. From July 4 on at the Flag Plaza of the Athletes Village International Zone, experience events including traditional mask making, traditional fan making, caricature drawing and face painting will be offered, to be followed by cultural performances held in two different parts. The first part will feature a cappella, cheer dance and ocarina performances. The second will be filled with such themed performances as an indie band show and a disk jockey show. Inside the Athletes Village Residential Zone will be the Universiade Museum where the Universiade's history and information will be presented, and the Korean athletes participating in the Gwangju Universiade will be briefly introduced. A different exhibition hall will also be placed where visitors will get a glimpse of the cultural beauty of Gwangju and Korea and relax in between the competitions. The Gwangju Univerisiade will be held at 37 competition venues and 32 training venues, and related culture events will take place at 32 competition venues and another 24 facilities. A total of 21 self-governing bodies and universities will take part in the regional culture events. The GUOC plans to differentiate each and every culture festival, considering different characteristics of each venue. The organizing committee hopes that the southern provinces' culture will be well-received by foreign visitors and that South and North Jeolla Provinces will be able to breakthrough. Both opening and closing ceremonies of any international sports events are not to be missed as they usually bring the gist of the host city's cultural power and showcase the city to the visitors. The year 2015 is particularly designated as "The Year of Light" by the United Nations, and the GUOC plans to show the path linking the past, the present and future with a story of light. The Opening Ceremony will start at 7 p.m. at the Universiade Main Stadium on July 3 with the theme of "U are Shinning," which goes well with the Universiade's official slogan of "Light Up Tomorrow." The Closing Ceremony will be titled "Sharing the Light" and take place at 7 p.m. on July 15 at the same venue. The director-nominee of the Opening and Closing Ceremonies Park Myung-sung is now in talks with experts to create quality contents that mix well with Gwangju's creativity and culture. The task left for both ceremonies is to integrate Korean history and culture with Gwangju's tradition and culture gracefully. The GUOC seeks to put global youths' passion and dynamic soul into the ceremonies while manifesting the Universiade's vision for EPIC. Gwangju plans to host "2015 Global Youth Festival," which will both be planned and implemented by young people from the entire city. Under the slogan of "Let's cheer for the future of youths," five different events will take place -- main events, theme events, accompanied events, exhibitions and finale events. Main events will be held for 25 hours from the evening of July 4 to July 5 at the Democracy Square of the Asian Culture Complex, featuring music, traditional arts, theatre and DJ performances, attended by young people from home and abroad. Theme events will invite celebrities from various fields and proceed in the style of the TED Conference -- The lecturers and the spectators at the conference will get united for a future networking, and the events will broadcast live through various on- and off-line channels. Accompanied events will feature "Youths Park," a multi-faceted cultural performance, "University Culture Festival," an expansion of the discontinued university song festival, "Youths Market," where products made by young people at home and abroad will be exchanged and "Youths City Camping," a 24-hour program open for global youths' to meet new people and make new friends. Exhibition events will offer opportunities for young people to share and experience different cultures while the finale events will consolidate the friendship the participants had made during the Universiade. The GUOC is also operating "Youths Cheering Squad," which holds spontaneous cheering events at local university areas and on the streets where young people gather around. The Ministry of Culture, Sports and Tourism is also preparing various events to promote the Universiade widely. The ministry is linking its nationwide performance-encouraging programs to Gwangju and South Jeolla Province during the June-August period. It also plans to expand its visit performance programs for the underprivileged in the southern regions. National museums in Gwangju, Naju and Jeonju have set up their respective schedules for exhibitions and cultural events around the time of the Universiade. The ministry is to hold pre-open events for the opening of the Asian Culture Complex. An Asian sports festival will be held at the ACC's Agency of Culture for Children building from July 3 to 12. On July 4 and 5, special performances will be held as part of the pre-open events. A series of cultural events are ready to promote the Universiade. Such preliminary events include the torch relay, starting ceremonies for volunteer groups and other music concerts. On June 3, the two flames flames, lighted from Sorbonne University in Paris and from Jangbuljae of Mudeungsan Mountain, will be carried and combined at the Universiade Torch Relay. From June 4 up until the Universiade’s opening, the torch will travel along 3,700 kilometers through 17 nationwide cities, which will make a spectacle itself for many. ANSAN, South Korea - Philippines has been known as one of the havens of drug traffickers and drug lords in the world as it is because the offenders will not be feared to be penalized by death penalty or firing squad unlike Indonesia where eight drug convicts were executed by firing squad on Tuesday, April 29 this year. But Mary Jane Veloso, a filipina was spared from execution as her alleged drug trafficker suspect, also a Filipina has surrendered herself to the authority a day before the execution. Veloso was arrested and sentenced to death on April 2010 due to smuggling of more than two kilos of heroin thru a suitcase she carried to Indonesia. 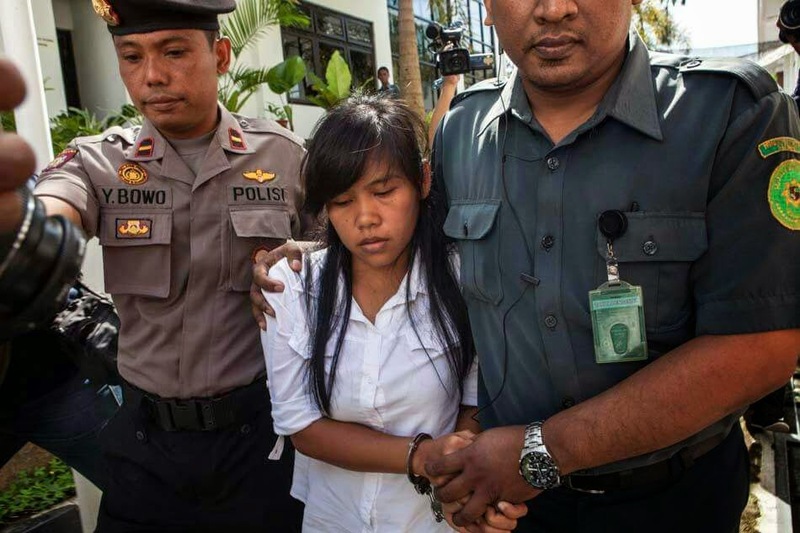 Prior to her execution last few days ago, she was scheduled for firing squad on October 2010 but was spared due to a moratorium on Capital punishment by then Indonesian President Susido Bambang Yudhoyono. Despite her counsel appealed to have her sentence reversed but rejected by the Indonesian courts. In the regime of incumbent President Joko Widodo, the execution of 9 convicts were resumed, among them are, 2 Australians, a Brazilian, four Nigerians and a native Indonesian and the drug convict Veloso was given clemency for the handover of the alleged human trafficker suspect and new evidence would be submitted to the court of Indonesia, according to media reports. Militant groups and concerned Filipino citizens gathered before the Indonesian Embassy in the Philippines to stop the schedule of execution of a Filipina drug convict victim. Meanwhile, the families of Veloso blamed the Aquino government for being irresponsible to help with the drug case of their daughter since April 2010 when she carried a suitcase that she did not know its contents. It was later found out that more than 2.6 kilograns smuggled heroin were inside of the bag requested by drug suspect to Veloso to bring it to Indonesia. One day before the execution, Mary Jane has expressed her love to her immediate families. “To my beloved sisters and loved ones forgive me for all the mistakes I committed in you, I believe in God that I also believe that God will give us the chance to see each other again because I miss you all so much, whatever happens let us not forget God because he wants us to be closer to him specially me, Amen,” She lamented while in prison. Veloso who comes from a very poor family in the province of Nueva Ecija, Philippines whose father worked as sugarcane worker or cutter in Hacienda Luisita owned by the family of the incumbent President Aquino. Because of poverty, Veloso asked her father to work overseas so she can send money right after her earnings but she was prevented for fear that something bad might happen to her. Now her father’s concern happened when she has become the victim of drug syndicates and smugglers who convinced Veloso to bring the suitcase with illegal drugs inside of it. Mary Jane’s Father said, my dream was to send her to school that’s why I have persisted to do whatever job it is, I even cut sugarcane day and night, I had to pass blood to feed my five children but I was still unfortunate and never happened in that dreams. On the other hand, the mother expressed Mary Jane was a kind hearted daughter, used to made ice candy and soups to sell it to neighbors. When the younger Veloso learned that there is nothing change with their life she accepted the invitation to work abroad. Today, the almost done execution of a convicted Filipina is the talk of the town and and went viral in the social media and got sympathy and help from different groups and concerned people and gathered together for a “Prayer” and call for the cancellation of execution for helpless and innocent victim of drug smuggling. In Indonesia, death penalty is severely served for illegal drug traffickers unlike in the Philippines as it has been tagged as “Haven” for all drug lords and cartels nowadays as various chinese drug lords and syndicates come without fear if caught because they will face no execution or death penalty whatever drugs they may bring and worse, the crooked government officials or policemen can even support and protect you unless the price is right. The dishonest politicans and lawmakers and alike in the country do not apply the severe punishment against illegal drug smugglers for the reason that some of them involved in this organized crime. Even broadcast and print journalists were mercilessly killed anywhere in the Philippines for revealing or exposing the illegal activities of crooked politicians and alike and the helpless victims and families received no justice from our very own government authorities as the mastermind and hired killers can hide themselves from the crime because there will be no harsh punishment against them. According to statistics, it was learned that there was only one convicted Filipina in Indonesia committed such crime and victimized by fellow Filipina with the alleged involvement of an African where the drug came from, based on the initial investigation. As of this writing, the government of President Aquino is thanking the clemency given by the Indonesian President to spare the convicted Filipina from execution on Tuesday and told the family of Veloso and Filipino people that the Aquino government is not stopping to help and provide necessary assistance to Mary Jane, but the mother clarified that the government did nothing. “The President did nothing,” Celia Veloso said, Mary Jane’s mother, as he told before the thousands of rallyists and protesters during a Labor Day rally in Mendiola, Manila as she remembered the agony and ordeal of her daughter. The mother insisted that the Aquino government had a lot of negligence and lack of concern for more than five years after Mary Jane was convicted for drug smuggling. The older Veloso also blamed the Department of foreign Affairs’ lawyers on how the latter sealed or disregarded her daughter’s fate. She said the lawyer told her that with the gravity of the case, the execution is possible to happen. After seeing of no chance that the government agency would attend to her daughter’s risky condition, she then appealed to Human Rights and concerned groups to help her poor daughter. The report says, President Aquino asked authority to present the surrender of alleged perpetrator who is suspected of committing human trafficking where Mary Jane needed her recruiter’s testimony. As of this writing, the Department of Justice of the Philippines requests access from Indonesian courts for Veloso' s drug smuggling case. Need to Learn from Ebola Tides & Entertainment Industry to stop Swine Flu Attack Next Year. Challenge needs to overcome is the control on the chain of human connectivity that helps both Swine Flu and Ebola to spread. Sample the West African plan of a nation Sierra Leone to control Ebola-Three Day Jail or a shut down of 2,500,000 people from 27-28th.March-2015 asking them to stay at home. Unlike 21 days isolation of a Ebola victim the Swine Flu attack restricts a patient to a seven day quatarum. Flu comes silently life a wild wolf and picks up victims each year.In India we are lucky to have the curable viral H1N1 with a vaccine. 2015 death toll today is 1809 and is still counting. Swine Flu effected number in 7 day isolation swells over 31,000 this season. It is unfortunate that our top leaders claim India is prepared for Ebola. Today we see even medicines Tami Flu to overcome H1N1 are short or are sold in black. Only serious control is seen in Delhi with AAP state government surprise checks on Labs and medicine stocks. India`s Preparedness and Investments needs a Public scrutiny? Ebola caretakers (outsmarting Indian PM-Modi) are collectively named 2014 Person of the Year by prestigious Time Magazine. 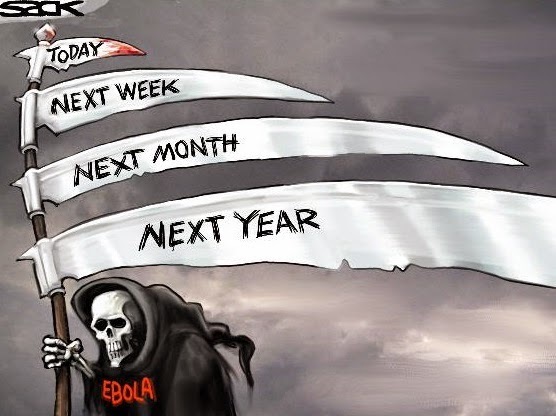 Health Insurance Ebola Protocols are still in a mess. India overseas Travel & Health insurance for `Ebola` cover in West Africa is toothless and is likely to fall under an `Act of God` clause with no claims in 2015.Such write ups were covered in these columns by India opines. Stop 40yrs.Old Ghost- Milked by Cinema & Video Games ? Talk-2014-15,Ebola Ghost@40 is real. Not a fiction film show. Virus is more than a fodder for entertainment and a byte for horror films. The world has now started talking about the Ebola virus which is 40 years old. In 2014-15 each and every country has an Ebola Alert Airport screening set up in position. Entertainment Industry has been milking profit from Ebola fear for decades. Ebola like virus and outbreak films are beginning to give real jitters. Profit list in Bollywood is equally impressive like in Hollywood. We see entertainment market flooded with Video games and movies on Ebola. Instead of providing breakthrough and funds for research as pointed by several medical research experts the Market and trade kept the people and children engaged with Zombies. Ebola Shop is a big success. Most of the dramatizations promote entertainment at the expense of reality. In one of my old article –“Outbreak Cure in Reel Life-Real Life fights for 40 Yrs” the business-political impact is widely discussed in detail. Ebola is assumed as a poor people virus with no profit to Pharma industry by the victims however Ebola driven Entertainment industry has earned hundreds of millions dollars by selling this fear. 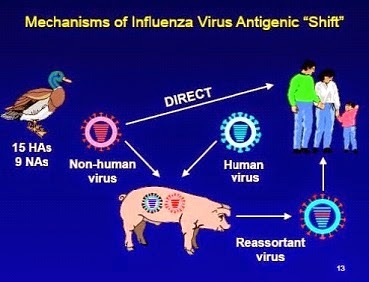 Swine Flu like Ebola has dangerous links with Pharma Donation and Entertainment industry. Back in India in struggle to control we find the ruling government BJP and previous Congress government receiving donations of 1.55 crores from Serum Institute of India Ltd. Global Attention to cure and control Monster Virus: The challenge starts when you study the past 40 years emergence of the monster and see that when the virus is found dead or disappearing, it surprises and bounces back. Ebola outbreak is a disgrace with research fund tap closed. Reason ?It was a poor person`s disease. The virus is there for entertainment but has no scientific solution. It started in a remote African village in 1976 has now reached the developing world New York City and the West. Eventually the world which is forced to spend more may realize that it makes no sense to leave one part of the world struggling in poverty with no health support and means. Can Contagion -2011 medical thriller Help Change Behaviours and Stop the Ebola Outbreak ? Contagion was budgeted at USD $60 million and attained $135 million in box office revenue during its theatrical run. This profit was worth as film prints are today been used by `Changemakers` as EE-Entertainment Education in Ebola Combat and sensitisation. At the same time film shows how the ordinary people struggle to survive in a society coming apart. The film helps today the rescue teams in West Africa aided by UNICEF and partners to build `mental models` to fight rumours and to change life style like eating bush meat and burial traditions. The media uses radio, storytelling and television to reach the Public in Ebola fight. Before Ebola ghost is re-buried or virus is cured in next few months, it is likely to re-define life with healthy entertainment and teach us sustainable safe living in its mild Indian Avtaar-Swine Flu. Let us improve for a safe future. The officially announced 2015 death toll today is 842 and is still counting. Swine Flu does not pick the victim from groups like Rich-Poor or Hindu-Muslim. Why should UP High court scold Governments in their PIL hearing today for Swine Flu weak preparedness ? BJP acceptance of 1.55 crore donation from an Indian company trying to get its Swine flu vaccine approved is another untapped spin in Media. What goes wrong when you shake hands with a Swine Flu suspect? There is a grave possibility of transmission. An adult human body carries 70% fluids. Sweat , cold and cough droplet circulation via hand ensures a faster transfer of virus. Even using the same door handle by the victim can transmit the virus to new suspects. 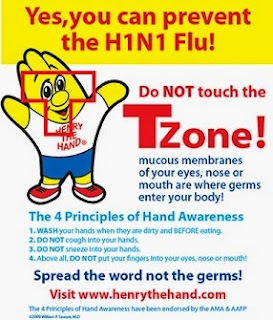 As per a study H1N1 virus can stay alive for 24-48hrs on a door handle or any hard surface. On a tissue paper it remains for 15 minutes while on hand it parks for 30 minutes and on cloths for 8-12 hrs. Swine Flu has less to do with eating meat or pigs but it has more to do with poor and corrupt health governance, weak regulations, rich-poor gap, unhygienic life style and unequal health expenditure. Thanks to the New Delhi AAP government there is a check & freeze on the Swine Flu lab test charges with maximum limit of Rs.4500.Many reports indicate doctors overcharging in Max Hospital Dehradun. Cost of each disposable mask has gone up from Rs.5 to Rs.50.Black market and shortage of Tina Flu tabs continues outside Delhi. After Mrs.& Mr. Obama-the Uranium and weapon Salesmen went back to America; the Swine Flu tide is on party in India. Hospitals are overcrowded and ICU are fully packed with 7 days isolation. There is a strange change in buzz. People are sad. You see no hand-shake, a hug and a passionate pat in lobbies. Schools are either closed or are banning collective gathers of prayers, sports events and outings etc. Uttrakhand government is giving funds to schools for regular hand wash habits in daily work after the death of a student in Dehradun. America continues to spend as much as 9000 dollars per person per year wherein India expenditure on health is 3% of its GNP. Thanks to the Modi Model there is a cut off 20% health budget. India today in Modi era is no more a proud low cost Pharma exporting nation of life saving medicines. Modi Model continues to sell false pride and equality dream of a superpower. Obama take away from India was the unequal Nuclear `Sale` deal as, I had been discussing in my recent write ups. 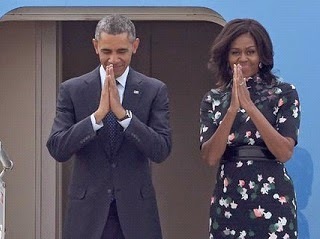 Obama left Indians with lessons on Religion, equality and make in India greetings called Namaste. PM Modi wearing his famous London suit with pinstrips reading as Narender Damodar Das Modi reciprocated with a handshake instead of Namashkar. Imagine a `No Handshake` hospital in modern times due to H1N1 fear? Let us analyse understand the pattern of a more dangerous virus called Ebola with similar primary symptoms. Ebola going global still with no cure is forcing today almost all 54 African nations to adopt a `No Handshake` Culture. Indian greeting of `Namaskar` with folded hands or Chinese bow is more safe in Swine Flu and even during Ebola attack outside India. 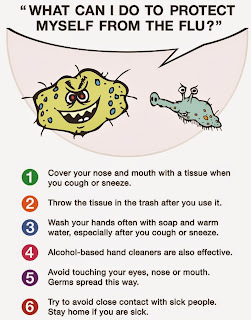 H1N1 is the ultimate Indian test of cultural hygienic practices. Containing it is a matter of washing hands, covering cough, cold and using hygienic toilets, disposing used tissues and no spitting in public and so on. If we do not have an effective garbage recycle plan as in India or in Africa, no sanitation system and no water purification plants in order and if we leave pigs and animal bodies out in the open for vultures to eat, then H1 N1 and Ebola like Virus will enjoy in full swing. Doctors are helpless with 7 day isolation screening with no clear protocols. Hospital management are happy as the unhealthy season is delivering rush and rich collection. At times the primary symptoms of H1N1 and Pneumonia overlap and lab test reports take time. Rich go to hospitals and come back after few days of getting monitored. Poor dare not go to hospital and volunteer for Swine Flu test as they are convinced it is curable. Careless attitude and negligence forces the victim to find that he is breathless and his lungs are damaged. Funds for collective cure, preparedness, awareness in time to stop the chain of transmission can help outsmart this deadly virus once it slows down possibly before Holi with a change in weather as per past pattern. Let us remain calm, promote Namaste, boost our immune system from self to the society for a better future and safer `desi` habits to overcome this manmade tragedy. About author: Worked in African countries since 2006 and had been supporting International Red Cross, supporting awareness & education on Ebola Virus and worked with few NGOs as volunteer on Basic and Advance Life Support. At the 17th Incheon Asian Game, Sepaktawkraw Men’s Regu Final between Thailand and South Korea match held in Bucheon Gymnasium on October 3, 2014. At the end of Sepaktawkraw match, the winners are Thailand for gold, South Korea for silver, and Myanmar and Malaysia are browns medals, respectively. According to South Korean coach, Korean started played Sepaktawkraw in 1988 for the first time. For professionally, they just play approximately 10 years ago, this is the 5th generation of players. Moreover, they used to hired Thai coaches and they went to train in Thailand. South Korea is the best Sepaktawkraw players outside its traditional sport Southeast Asian countries. For Thai team, Thai coach feels their team got pressure from spectators. According to Malaysian coach, their team did better than previous game in China. However, he is not satisfied with the number of games, as just 2 games, it is very less, he complained. Malaysian also hopes that Sepaktawkraw can be included in Olympic game. Similarly, Sepaktawkraw Women’s Regu Final between Thailand and South Korea match held. The winners are Thailand for gold, South Korea for silver, and China and Indonesia are browns medals, respectively. Thai coach expressed their team work hard and deserved for gold. But he denies to say Thai team will dominate gold always, how long we will retained gold I don’t know, he said. Again, Thai authority will ask Olympic committee to include Sepaktakaraw in Olympic game. Korean coach confessed we found weak point in our team, so we will try again for a better for next game. Korean team is going to join the next international match in Pukhet in Thailand and elsewhere, the coach confirmed. Although Korean government was not much support them, but they hope they will get a better support in future. Korean believer Sepaktakraw is an international sport and famous among many games, definitely, they hope many people will join in this sport. Korean women team leader described how she was started Sepaktakraw sport at the time of her high school, she was more interested in it, enthusiastically she said. She suggests this sport match should have a live broadcast. Indonesian coach said we are proud to get brown medal, and we will try a better medal next time. Indonesian team will also go for Asian beach game in Pukhet. In Indonesia, parents usually prohibited their daughters to go for sport training center in many provinces. So they suggest it will be good to start at the school to encourage Sepaktakraw sport. Chinese coach said their team is doing better and there were more and more supported for Sepaktakraw team in their country. Chinese team will also go at Asian beach game. In China, teenage participation is still less in this sport, the coach said. They can see Sepaktakraw match in special event only, and some school event. He believes such as Asian Game made more people interest on Sepaktawkraw sport and familiar this sport around China. It is significant growing this sport at the school in China.